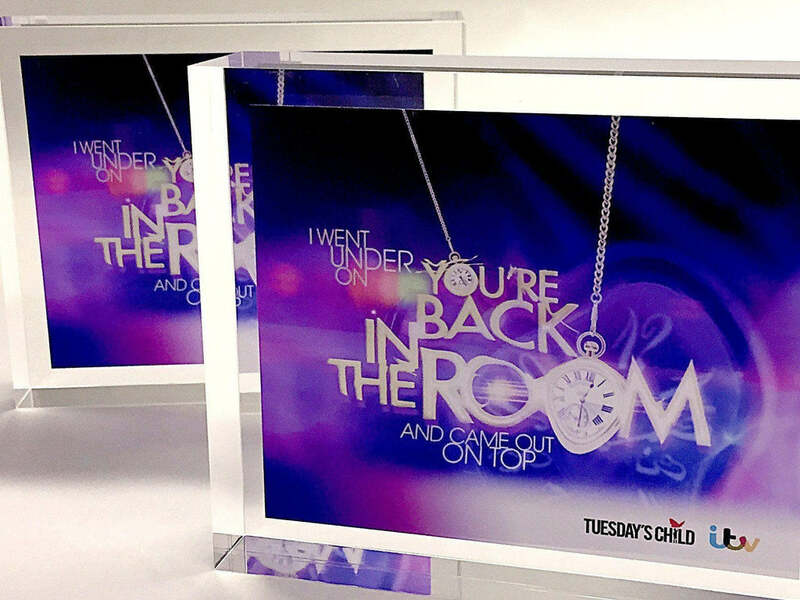 This special commission for the popular the show You’re Back in the Room is a bright addition to any awards cabinet. 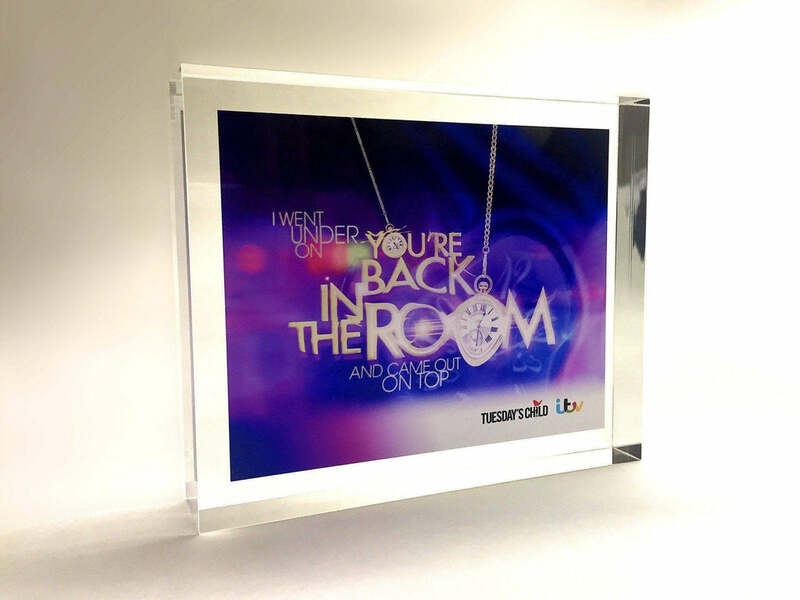 Using state of the art printing techniques, the hi-res, full colour graphic is set within the main body of the solid acrylic. 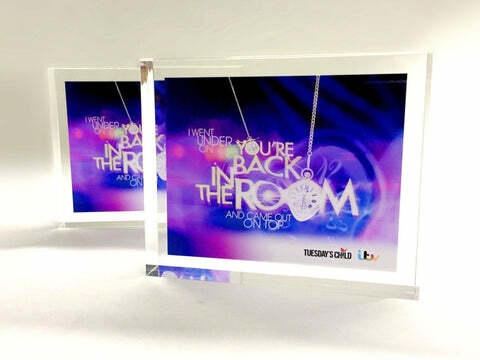 The bright colours of the logo contrast with the clear acrylic body drawing the attention to the central graphic.